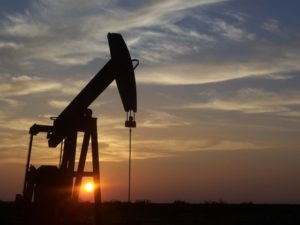 Oil prices have risen rapidly this year and are expected, by some, to head higher – possibly towards US$ 100 per barrel. This is alarming to many, who consider such a rise as devastating to the economic growth prospects of many countries. Hence, the panic and scramble to do something, regardless of how effective it would be. One such reaction is the attempt underway to create a bloc (cartel) of buyers to counter OPEC (The oil producing cartel). India and China discussed such a move in Beijing in June 2018 in view of both jointly representing 17% of world oil consumption and need to keep oil prices down. Not only so, but also, the pundits are now calling for the inclusion of the EU and Japan in such a counter-OPEC bloc, based on the fact that all four (India, China, EU and Japan) together consume 35% of world oil and produce 65% of the worlds’ autos, which will become electric powered. We can understand the point of consuming 35% of oil and the natural tendency to desire lower costs, but the auto production argument seems to stand on wobbly legs. The auto production point assumes that despite an inevitable trend towards electric vehicles, many obstacles and hurdles remain, which are likely to delay their widespread proliferation beyond 2020, 2030 or even 2040. Infrastructure gaps, production costs & delays, battery & storage, technology development, etc. are the culprits. Such delays mean OPEC would have more time to continue controlling prices, rather than the opposite. And if that leads to lower economic growth, or a stunted economic recovery in the oil consuming economies, then we would expect lesser demand for the expensive electric vehicles and a further delay in their mass use – a vicious circle? Somehow, intelligent people fail to see the obvious. The present potential world oil production capacity (including US shale) is sufficient to satisfy the present and medium-term demand. But this requires the cessation of the regional turbulences created by the geopolitical and military interferences of the great powers. If Iran, Iraq, Venezuela, Libya, Angola, Nigeria etc. oil production capacities are allowed to return to their former levels, oil would flood the markets and prices would drop substantially. The 2014 oil price crash is proof for even the blind. Additionally, a return to previous “normal” high production levels would provide time, that is unavailable now, for producers to expand their production capacity. A substantial time-lag exists for the development of new oil wells and/or fields as well as the need for huge capital investments. Hence, pressuring producers to ramp up their production overnight by two million b/d is not wisest option. The envisioned spare capacity may not actually exist or may not be immediately available. But if it does somehow materialize, then all the available spare capacity would be used up, disarming the biggest producers from being able to stabilize the market in the event of sudden changes in demand, leading to wild swings in prices. If demand increases with no spare capacity, price surges would play havoc with the world’s consumer economies, and if demand drops or stabilizes, the producers’ huge investments would end up barren and abandoned. The present surge in oil prices is artificial and is triggered by artificial political and military ploys, and the final winners will neither be the consumers nor the producers, but the mightiest!